Dennis “Denny” Dee Worshek was born Nov. 29, 1943, in Panora, Iowa, to Orville and Juanita (Willey) Worshek. He was confirmed in his faith in May 1972 at St. Joseph’s Catholic Church in Silver Lake. On Nov. 4, 1972, Dennis Dee Worshek and Rita Ann Zanoth were united in holy marriage at St. Joseph’s Catholic Church in Silver Lake by the Rev. Michael Skoblik. They were blessed with a daughter and a son. Mr. Worshek served in the U.S. Navy from 1963 to 1967, and worked as a ship fitter. He was a member of the Silver Lake American Legion Post 141 in Silver Lake for 45 years, and a member of the Disabled American Veterans (DAV). He also was a member of the Sportsman’s Club. 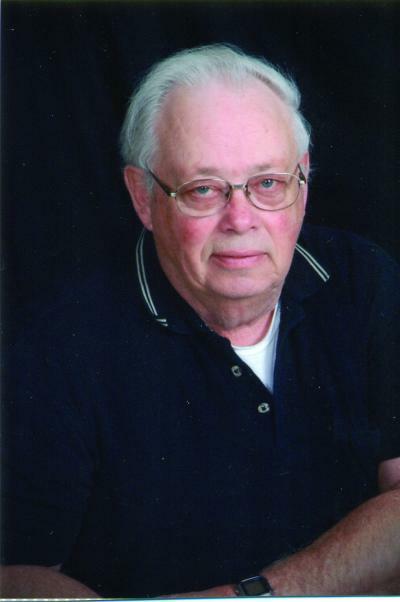 He worked as a welder for Char-Lynn in Eden Prairie, Portable Elevator in Glencoe and Hutchinson Manufacturing in Hutchinson until his retirement in 2006. The past couple of years, Mr. Worshek was a volunteer at Glencoe Regional Health Services (GRHS). Mr. Worshek enjoyed movies, camping, gardening, woodworking, hunting and working with his gun collections, listening to country music, and going to family functions. He had a good wit and would always make others smile. He was always willing to help others. He is survived by his wife, Rita Worshek; daughter, Jan Worshek; son, Mark Worshek; brother, Lynn Worshek; sister, Marilyn Behr; sister-in-law, Marietta Worshek; siblings-in-law, MaryJo (Abbie) Ardolf, Tom (Ruth) Zanoth and Lois (Ron) Miskosky; and many nieces, nephews, great-nieces, great-nephews, family and friends. He was preceded in death by his parents, Orville and Juanita Worshek; brother, Donnie Worshek; parents-in-law, Thomas and Gladys Zanoth; and brother-in-law, Michael Zanoth. The Maresh Funeral Home in Silver Lake served the family.